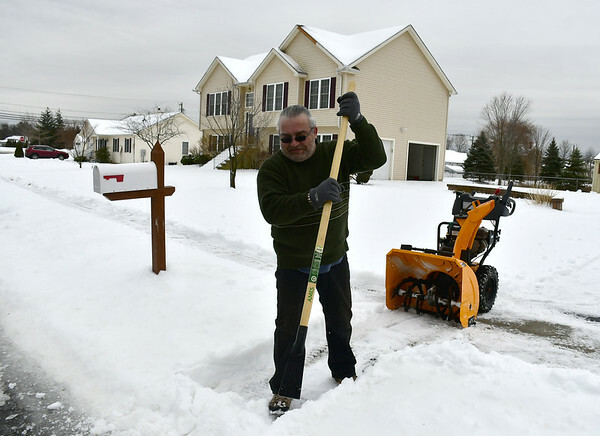 Haney said that that while heavy snow is not expected, there may be enough to cause some problems on the roads, and people in Northwestern Connecticut may still have to shovel. Haney said that one model is predicting 2 to 3 inches of snow in Northwestern Connecticut, 1 to 2 inches in Central Connecticut and “very minimal” amounts on the shoreline. The “European” model was predicting as much as 4 to 5 inches in parts of Northwestern Connecticut. Mayor Ellen Zoppo-Sassu said the city is still well within its budget for dealing with winter storms. This year’s budget includes $250,000 for overtime, of which $52,000 has been used. The Jan. 19-20 storm cost approximately $14,000 in overtime. The budget for salt is $462,000, of which $55,000 has been used so far. Zoppo-Sassu said the city has 4,500 tons stored, and used approximately 360 tons during the previous storm. The city doesn’t use sand. The budget for outside plow contractors is $305,200, of which $52,000 has been used. Police are advising residents to take the necessary precautions when driving, particularly if the storm affects either the evening or morning commute. “Drive slow, leave early and give yourself extra time to get wherever you’re going,” said Lt. Richard Guerrera. “Leave extra distance between you and the car in front of you” Guerrera continued, adding that headlights should always be on during winter storms. Guerrera also said motorists should clear their entire windshield before driving and not just a small area to see in front of their vehicle. Blind spots caused by snow can contribute to motor vehicle accidents. “If the roads ice up very quickly then it could be a problem,” the lieutenant said. Plymouth Director of Public Works Charles Weigert said that it doesn’t look as if there will be much snow. Mike Widger, roadways foreman in Plainville, said that the town was having salt delivered and having mechanics look over trucks to make sure that they are ready to go if they need to. Southington Town Manager Mark Sciota said that he met with the Public Works Department Monday morning to discuss storm preparations. Susan Corica and Justin Muszynski contributed to this story. Posted in The Bristol Press, Bristol, Plainville, Plymouth, Southington Herald on Monday, 28 January 2019 21:10. Updated: Monday, 28 January 2019 21:12.